Many commentators said he was sending a “dog-whistle message” to people who consider themselves successful, hardworking white people, and was basically saying: look, we are up against black people, the poor, women, veterans, and other marginal groups. The Urban Dictionary, a crowdsourced online dictionary, defines “shuck and jive” as “the intentionally misleading words and actions that African-Americans would employ in order to deceive racist Euro-Americans in power, both during the period of slavery and afterwards." In southern United States, “shucking and jiving” has come to denote any kind of misleading and insincere talk that is intended to deceive. From interaction with my students, I get the sense that the expression was going out of currency until Palin rehabilitated it. My students said they did not know what it meant until Sarah Palin brought it (back) to the forefront of America’s political lexicon. It is clearly used mostly by older people. It nevertheless signposts dog-whistle politics because, although the general (adult) US population understands it to mean facetiously mendacious talk designed to deceive, it evokes memories of black slaves who told funny lies to avoid punishment from their slave masters. 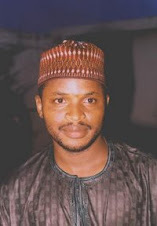 Now connect the dots…. It isn’t only Republicans who use dog-whistle politics, though. Obama sometimes deploys it, too. In 2007, for instance, when Obama addressed a black crowd in South Carolina to refute rumors that he was a secret Muslim, he used coded language that deeply resonated with black Americans but that didn’t raise any red flags among most white Americans. “They try to bamboozle you, hoodwink you,” Obama told the crowd. “Bamboozle” and “hoodwink” were popularized in black America by Malcolm X. He used the words to describe the tactics the white establishment and its media used to destroy the credibility of revolutionary black leaders. 9. “Win brownie points”/ “win browning points.” In American English, the term “brownie points” is used to denote praise or favor for a good job. Example: “I won brownie points from my wife for taking care of the kids while she was away.” That expression was creatively contorted recently when Republican candidate Mitt Romney dyed his face brown to appeal to Latino voters (that is, Americans who trace their descent to brown-looking, Spanish-speaking people of South and Central America) during an appearance at Univision’s Presidential Forum. (Univision is the preeminent TV channel of Latino Americans). 10. “Pinocchio.” Pinocchio (pronounced pinokio) is a compulsively lying fictional character in an American children’s novel. It has a short nose, but each time it tells lies its nose grows exaggeratedly long. “Pinocchio” is now used metaphorically in American English to refer to anyone who is fond of lies, distortions, and exaggerations. Fact-checkers who verify or refute the claims of politicians—a growing journalistic enterprise in the United States—have especially popularized the use of the term in American conversational English. 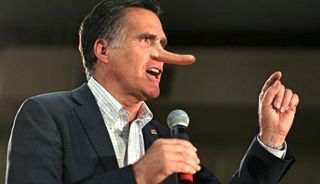 “Romney’s Pinocchio act,” “Barack ‘Pinocchio’ Obama,” etc. are common expressions used to show that either of the presidential candidates is lying. Journalists also hand out “Pinocchio awards” to lying politicians. For instance, the Washington Post, after fact-checking a Romney campaign ad, which it calls the “the Pinocchio test,” concluded that “the Romney campaign earns two Pinocchio for its ‘Dear Daughter’ ad.” It also evaluated one of Obama’s anti-Romney TV ads and gave it four Pinocchios for misrepresentation. Many American news organizations have a “Pinocchio tracker” that evaluates the truth claims of politicians. 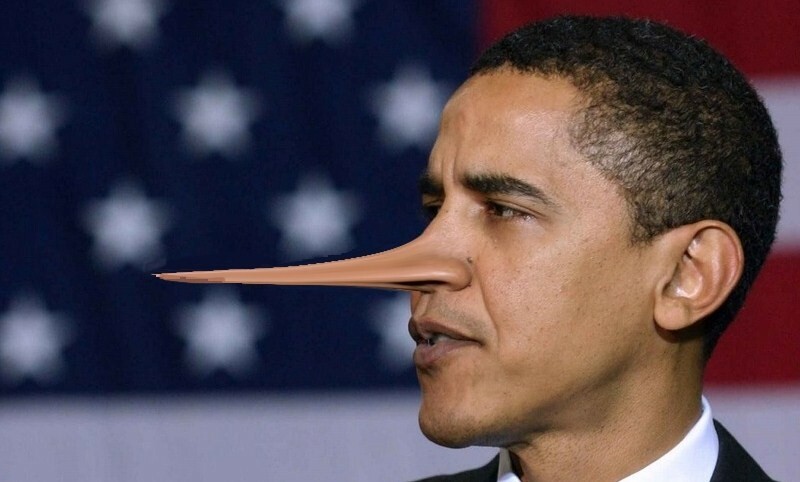 The news media typically draw politicians with an unnaturally long nose to indicate that they are lying. 11. “Moochers.” A moocher is a freeloader, that is, someone who tries to get something for free, who is allergic to hard work. To mooch is to ask for free stuff, to be a parasite, to be a lazy unproductive beggar. In British English, however, to mooch is to hang around, as in: “We mooched at the pepper soup joint after office hours.” An American would understand that sentence to mean that you begged for pepper soup from patrons at the joint. “Mooch” and “moochers” were thrown around a lot in American popular discourse after Mitt Romney suggested that 47 percent of Americans who depend on “government handouts” and who pay no taxes would never vote for him. Americans erupted in anger and said Romney was calling them “moochers” and “freeloaders,” that is, lazy parasites who depend on government to survive. 12. “Malarkey.” This is an American slang term for “nonsense.” Vice President Joe Biden gave it prominence during the vice presidential debate when he described his opponent’s characterization of Obama’s foreign policy as “a bunch of malarkey." Shortly after he uttered the word, it was mentioned more than 30,000 times in the space of just one minute on Twitter. It has now gone from being an obscure Americanism to a recognizable term in International English.